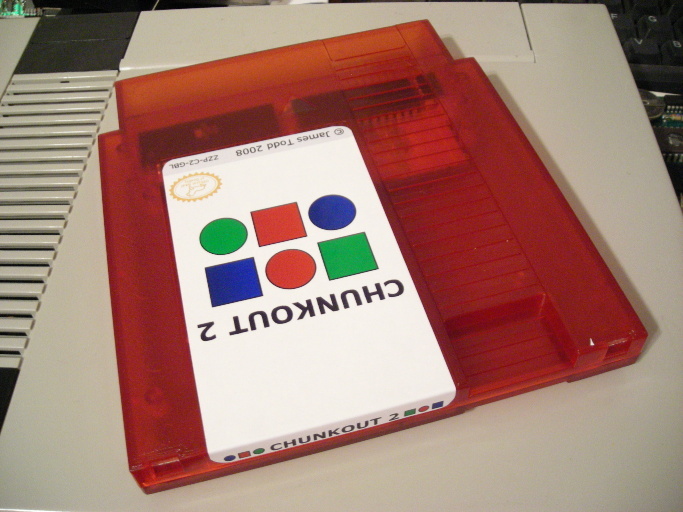 Classic tile deleting fun - can you get a Chunkout? 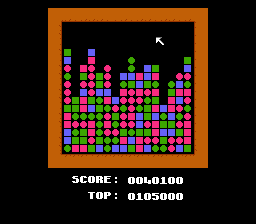 Starting with a random layout of colored tiles, obliterate large chunks of the same color and shape to score big! By strategically removing smaller quantities of tiles you can create bigger and better scores. 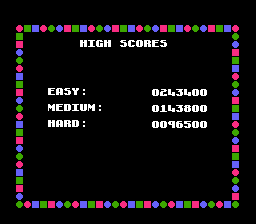 Maximize your score by deleting all of the tiles! 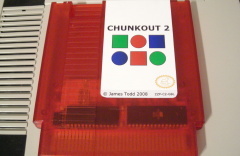 This sequel to James Todd's 1999 Gameboy Color release brings 3 levels of difficulty into the mix for an even greater challenge. Compete against your family and friends to get your score onto the High Scores list! 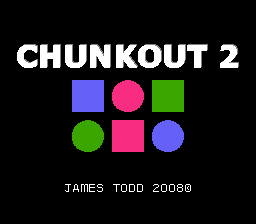 Chunkout 2 Intro High Scores In game deleting chunks!